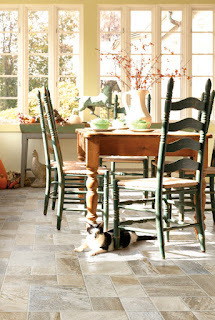 Many people choose tile because of its practicality and variety of styles. However, by its very nature, the different styles, textures and patterns can make purchasing tile a difficult decision. At Kermans our Design Consultants are happy to answer all of your questions and narrow down your selections to the right look, feel and price point for your needs. What should you consider before buying tile for your Indianapolis home? Choose the right tile for the room use: Not all tile is suitable for each area of your home. You don’t want a porous tile in a bathroom or kitchen because it will absorb water. 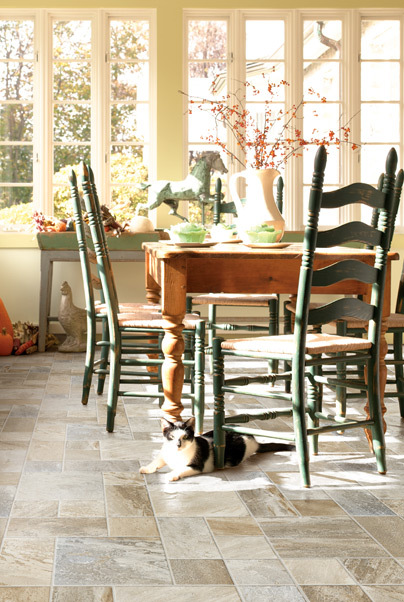 Entryways need a hard, scratch-resistant tile. Tiles for an outdoor room require different specifications than indoors. Consider the natural design qualities of tile: Each tile has its own color and texture but you can customize your particular room with accent pieces such as trim work and decorative tiles. First, consider the size of the room and its primary use. Kermans’ design consultants can then help you create a layout pattern, including trim, decorative patterns, grout color and grout sealer. Recognize that tile comes in many materials and contains natural variations: Many styles of tile, ceramic in particular, are designed to look and feel like natural stone. That means they often contain a textured surface and color variations. Even if you select solid color tiles, you will still see shade variation from tile to tile. Each tile manufacturer will label the sample telling you how much variation to expect overall – codes range from minimal variation (Uniform Appearance) to wide variation with different colors on different tiles (Random Variation). If you choose ceramic, discuss the benefits to glazed vs unglazed tiles: All ceramic tile has microscopic holes, glazed tile has “filled in” these holes and are very durable and a little easier to maintain. However, the color in the glaze layer may be different from that of the body. Often times, unglazed tile is referred to as “through body” where the color on the top goes all the way through the tile. Due to this characteristic, unglazed tile tends not to show wear as much. Unglazed tile may also have better slip resistance. It's true, there is a lot to consider when buying tile. Don't worry - Kermans is here to help every step of the way. Our online tile buyer's guide will help you do your research. Then, visit our showroom and let our knowledgeable sales staff walk you through the important decisions.